Have you been able to beat UBC Simulator? Me neither. Regardless, this might be the most addictive procrastination method to grace UBC in a while. 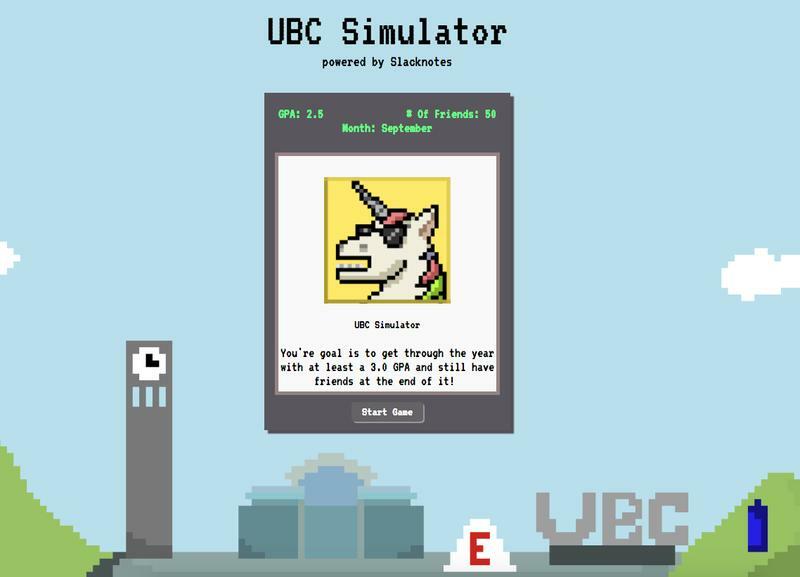 The UBC Simulator is an old school choose-your-own-adventure game where each choice affects the next. You start out with a 2.5 GPA and 50 friends, and with every decision you make, your GPA and friends will either raise or lower — just like real life, right? The goal of the game is to make it to April without dying from running out of friends or GPA. I personally can't make it past January because a Sauder kid keeps running a marketing campaign to defame me. Game or no game, I just can't bring myself to join a startup. 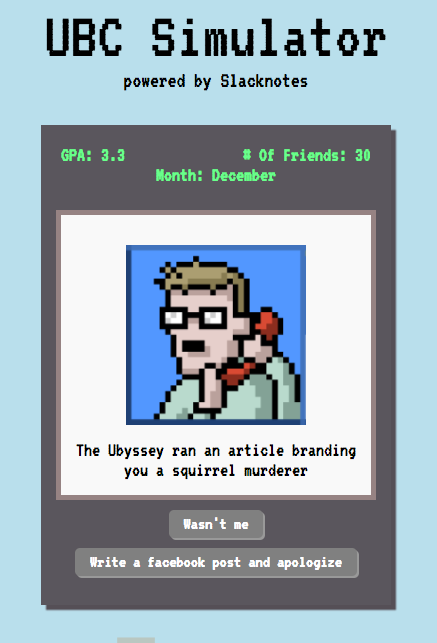 Other hilarious scenarios include convincing a guy named Jimothy to take your midterm for you, getting more friends from LAN parties than sorority parties and The Ubyssey running an article branding you a squirrel murderer. Ultimately, this game is a metaphor for life at university in that you can lose friends for thinking Chris is buff and that Sauder kids will ruin your life.